Touch Screen Makes Reading a Breeze. Thinner, smaller and lighter than most magazines, the Reader Touch Edition™ lets you access up to 350 (or more with memory expansion card slots) of your favorite books from anywhere. The intuitive 6" touchscreen display makes navigation a breeze, letting you turn pages with the swipe of a finger. An included stylus offers freehand highlighting and annotation. With support for multiple file formats including ePub and PDF, you can enjoy books from more places, including the Reader™ Store and over one million free public domain titles from Google Books. Sporting a gorgeous 6-inch display with touch screen navigation, turning pages, bookmarking your spot, adjusting the font, and searching for titles can easily be done with the swipe of a finger. Use the virtual keyboard or included stylus to take freehand notes and highlight sections of text to revisit later. Providing more than just a superior reading experience, the Reader Touch Edition, supports Adobe® PDF5, Microsoft® Word, BBeB Book® and other text file formats, as well as EPUB/ACS4 and connection with Adobe Digital Editions4. In addition to being PC and Mac® compatible10, you can even play back unsecured MP3 and AAC audio files9. By supporting both industry standard formats, ePub and PDF, you can access books at the Reader Store, check out books from public libraries, access over one million free public domain titles from Google Books, as well as sharing sites, online aggregators and personal publishers. Featuring E Ink® Vizplex™ technology, the Reader Touch Edition delivers an astonishing almost paper-like reading experience, which makes it easy to read, even outdoors in the sunshine. 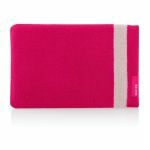 Measuring only 0.4" thin and weighing less than 10.1 ounces, the Reader Touch Edition is the perfect travel companion. 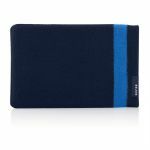 Ideal for the constant traveler, daily commuter or leisurely reader, the Reader Touch Edition lets you carry up to 350 of your favorite books3 at a time. You can even expand the capacity with optional Memory Stick® PRO Duo™ or SD media (sold separately). While most portable electronics lose power after only a few hours, the Reader Touch Edition provides up to two full weeks of reading (7,500 continuous page turns) on a single battery charge. The Reader Touch Edition™ features a 6” display with simple, easy-to-use touchscreen navigation. Turn pages with the swipe of a finger and enjoy fast and intuitive navigation of your favorite books. Not sure which books to bring on your trip? With the Reader Touch Edition™, you will never have to make that choice again. 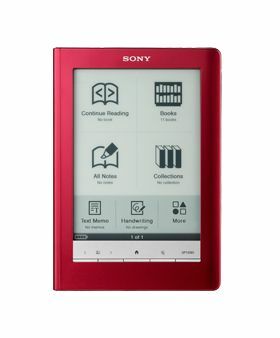 512MB of onboard memory6 lets you carry up to 350 of your favorite books3 at a time and with dual memory expansion card slots, your reading library is virtually limitless. 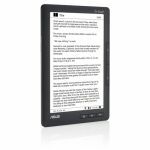 Enjoy up to two full weeks of reading (7,500 continuous page turns) on a single battery charge1. The Reader Touch Edition™ offers you the ability to resize text. Choose from five adjustable font sizes to improve readability. Expand the capacity of your Reader Touch Edition™ with optional Memory Stick PRO Duo™ or SD media (sold separately). 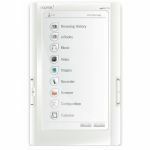 Designed for ease of use, the Reader Touch Edition™ provides intuitive navigation and button placement. Enjoy access to a wider number of books from a wider number of places. By supporting both industry standard formats, ePub and PDF, you can access content from a wide number of online bookstores2. The Reader Touch Edition™ utilizes E Ink® Vizplex™ screen technology to deliver an amazing, paper-like display that’s more like ink on paper and fully readable in direct sunlight. The Reader Touch Edition™ supports Adobe® PDF5, Microsoft® Word, BBeB® Book and other text file formats, as well as EPUB/ACS4 and connection with Adobe Digital Editions4. You can even play back unsecured MP3 and AAC audio files (headphones required and sold separately). In addition to intuitive touch screen navigation, the Reader Touch Edition™ features right and left-hand side page advance buttons for quick and easy page turning. Whether you’re venturing across town or across the country, the Reader Touch Edition™ makes an ideal travelling companion. Measuring just 0.4” thin7 and weighing only 10.1 ounces, the Reader Touch Edition is thinner and more lightweight than almost any book, and even many magazines. Transfer eBooks and charge your Reader Touch Edition™ using a single USB 2.0 cable. 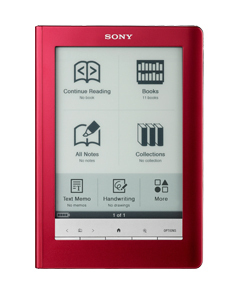 The Reader Touch Edition™ is available in your choice of silver, black, and red.